Dogs and other animals that fly, an update on unmanned aerial vehicles, charitable aviation organizations that provide transportation to those in need, the Commonwealth Aircraft Corporation Wirraway, and flying GA in the US and Europe. Victoria Zajko is a pilot and she works in the aviation insurance business, supporting general, corporate, and business aviation needs. She is a Co-Host on the Stuck Mic AvCast, blogs at The Pixie Pilot, and is Coauthor of the new Turbo the Flying Dog book series. Turbo flies everywhere with her, and the dog has a Facebook page and is on Twitter. Victoria thought the adventures of Turbo would make a good children’s book that focused on family and overcoming fears. Now we have Turbo the Flying Dog, the first book in a series. 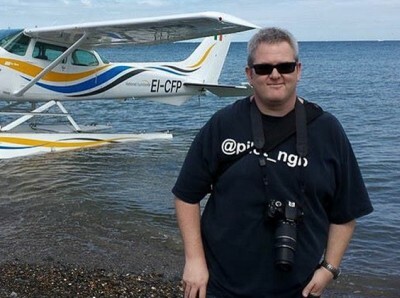 We talk about crowdfunding the book, hurdles to publishing, and the positive role of social media and the aviation community. In this CNN video, FAA Administrator Michael Huerta talks about security threats from commercial drones, especially to planes. A discussion between Jetwhine Publisher Rob Mark and Duke University professor Missy Cummings about whether or not drones pose a safety problem to passenger carrying aircraft. U.S. lawmakers want the FAA to speed up the integration of drones into the national airspace. FAA Administrator Michael Huerta told CNN’s State of the Union that the NPRM planned for this month on sUAS will focus on aircraft certification and “qualifications” of pilots. Migratory turtles spend the summer in the waters off New England, then swim south in winter. But this year, wind and water temperatures have stranded more than 400 of them along beaches on Cape Cod, Massachusetts. According to Leslie Weinstein, a board member for the Archie Carr Center for Sea Turtle Research at the University of Florida, they need transportation to aquariums. Weinstein is working an aviation rescue effort with the Air National Guard, but also with volunteer groups like Pilots N Paws to solicit help from general aviation pilots. This 2013 article describes a Marine serving in Afghanistan who rescued two Anatolian Shepherd mixes, Dusty and Wyatt. He was able to get the dogs to the U.S with the assistance of an animal rescue organization when his tour of duty ended. Later, the Marine was transferred across the country and the airlines were unable to provide transportation. Wrigley gum heiress Helen A. Rosburg stepped in and chartered a private jet. Rosburg is the founder of animal rescue organization, On the Wings of Angels Rescue. By Contributing Editor John Walton on the RunwayGirl Network. The National Air Transportation Association (NATA) announced the donation of more than $30,000 to veterans’ organizations raised through the 2014 NATA Flag Pins for Veterans Project. Earlier this year, NATA and its members developed the project to expand our support of our Nation’s veterans. Donations from this year’s project will support the Veterans Airlift Command and the Medal of Honor Foundation. Carl Valeri talks to the volunteer Veterans Airlift Command (VAC) which transports post-9/11 veterans for medical and other compassionate reasons outside the airline system. 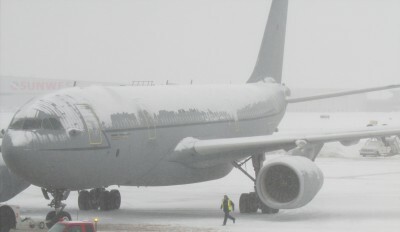 Carl also spoke with a veteran and passenger of Veterans Airlift Command. 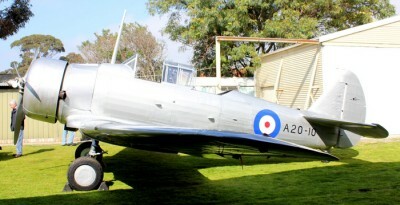 Back in September, the Australian National Aviation Museum at Moorabbin in Victoria, celebrated the 75th anniversary of the first flight of their CAC (Commonwealth Aircraft Corporation) Wirraway. Pieter talks with Neil Bradon, once a student pilot on the show back in 2011 and now a well respected GA pilot in both Europe and the USA. Neil has returned from living and working in the USA to Ireland where he explains the differences in the GA sector and offers some advice based upon his experiences. Neil blogs at getmyppl.blogspot.com. Find Max’s list at airplanegeeks.com/charity. Aviation Geekfest 2015 – February 21st and 22nd, 2015 in Seattle. SkyFunder – Crowdfunding just for aviation purposes. This entry was posted in Episodes and tagged Book, charitable, drone, FAA, service animals on December 3, 2014 by maxflight.